In a bid to bring more options for the selfie lovers, the Chinese smartphone manufacturer is all set to launch a new smartphone under its Y Series next month. To be called as Redmi Y3, the phone is expected to be launched in the country on April 24. This piece of information comes straight from the phone maker as the company officially confirmed the same via official Twitter handle. 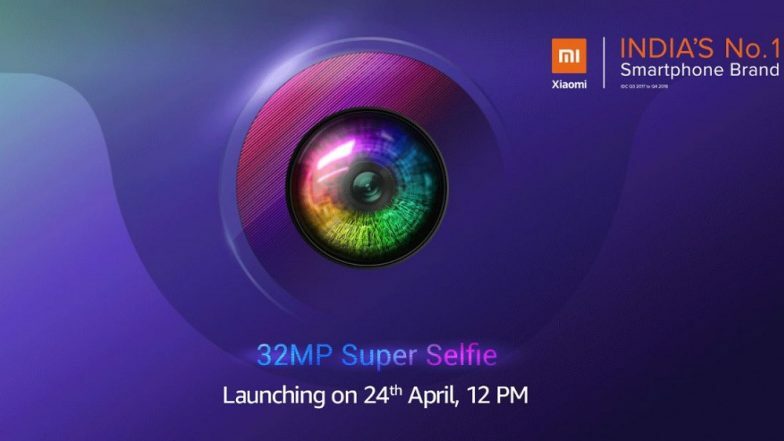 According to the official tweet, the new Redmi Y3 phone will sport a powerful 32MP selfie camera. Xiaomi Teases Its Upcoming Two-way Foldable Phone. Moreover, the company has also started sending out official invites to the Redmi Y3 launch event which is scheduled to commence from 12PM IST. The official invite confirms that the forthcoming Redmi Y3 from Xiaomi will feature U-shaped waterdrop notch at the front which will house a 32MP sensor. As far as the specifications are concerned, the new Xiaomi Redmi Y3 is expected to feature a dual-rear camera module with 12MP primary sensor and 2MP secondary lens similar to the one that we saw on Redmi Note 7. Under the hood, the phone will be powered by Qualcomm Snapdragon 632 SoC with up to 4GB RAM and 64GB of internal space. The phone is also tipped to carry a Full HD+ display along with MIUI based Android 9 Pie. Expect more details and specifications of the smartphone rolling out in the market. Xiaomi's New Charger Can Charge a Phone in Less Than 10 Minutes. According to the previous reports, it is believed that the phone will be packed with a bigger capacity battery that is likely to be 4000 mAh battery. It is also rumoured that the company can bring fast charging support for the device, however, there is no official confirmation to this. Also, there is no word on battery capacity or fast charging technology.